As Overwatch‘s newest character Baptiste hits the competitive scene, many people are trying to find ways to counteract his powerful support kit. From his long-range healing grenades to his Amplification Matrix, he has the ability to sway the outcome of any teamfight by keeping key players alive while boosting their damage output. Fortunately, players have found a way to counter one of his other strong abilities, Immortality Field. For people who aren’t familiar with Baptiste, his Immortality Field has him throw a disc over an area that prevents his teammates from dying. The disc hovers over the battlefield, and can also be destroyed if shot at for long enough. There is, however, a faster way to counter this ability. Apparently, the Immortality Field works on line of sight with allied characters. If the disc doesn’t have a clear line of sight with an ally, it won’t keep them alive. Therefore, if an enemy places a Mei wall underneath the disc, it will completely engulf it and negate its effect. 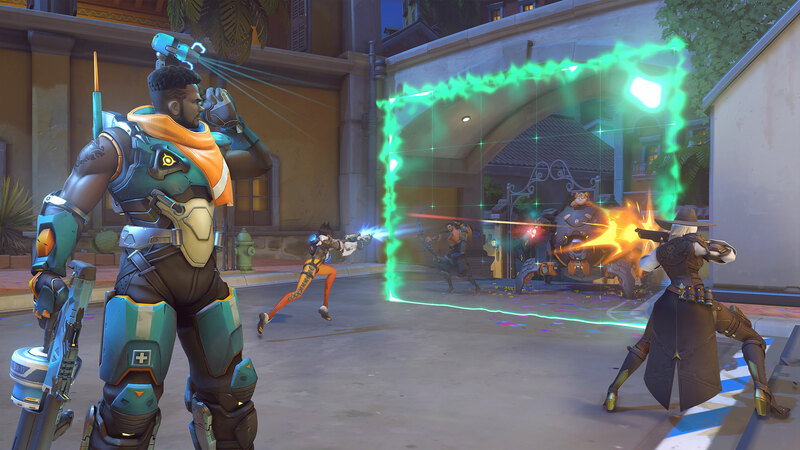 People also pointed out that this counter applies to other area-of-effect abilities, such as Soldier 76’s Biotic Field and Zenyatta’s ultimate, Transcendence. This counter is extremely effective, though, as Baptiste can prevent allies from dying outright. A few people said that because this counter is available, there should be a small change to the ability’s effect indicator on the ground. If an area is blocked off from the Immortality Field, it shouldn’t be included in the effect indicator. It should be interesting to see how teams play against Baptiste compositions now that the hero is in the Overwatch League. Try out this counter against Baptiste on the battlefield today and see if it can help turn the tides for your side.